← How to set color depth when convert EMF to PNG? 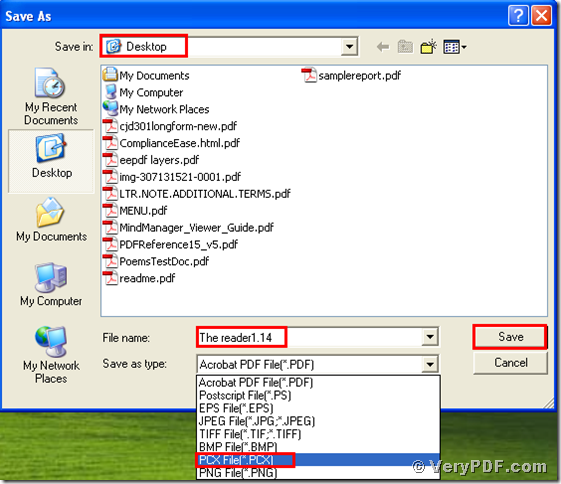 It is said that the pcx file format has mostly been replaced by newer image formats, but is still used by some fax and scanning applications. Today I am going to tell you how to print doc to pcx. If you need to know how to make it, just pay attention to my article. 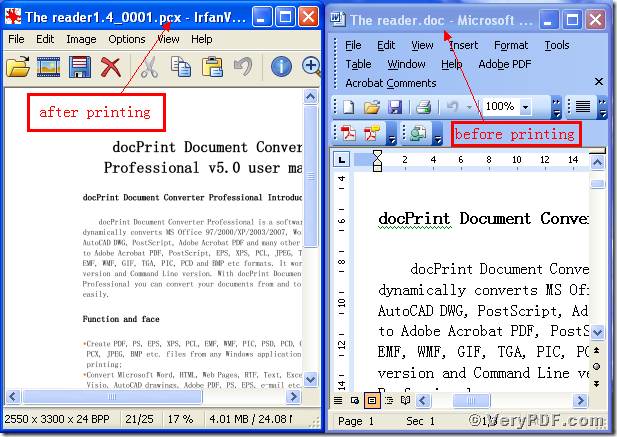 As we all known that we need to use virtual printer to print doc to pcx. So what kind of virtual printer is suitable for this printing? 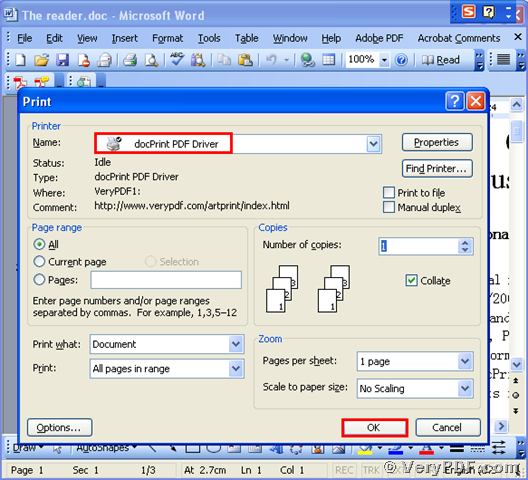 The best choice for you is that choose the docPrint PDF Driver to make it. It is not only save your time, but also can save your energy. The reason is that it is useful software, and the operations are simple and brief. Since this software is so easy and useful, why not to take a little time to learn it and master this function? <1> download and install this software. 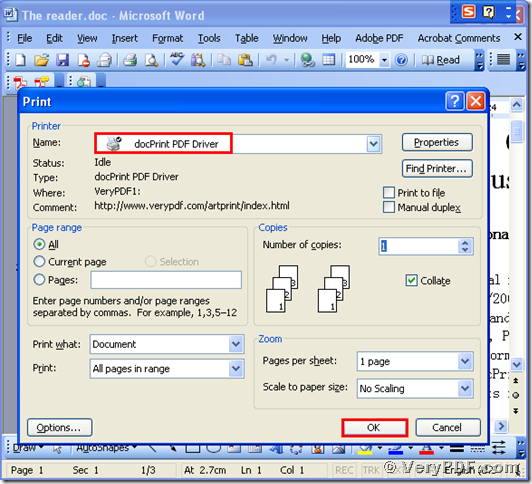 First, you need to open the file (The reader.doc), and click “File” – find “Print”-click “Print”. Then it will pop up the dialogue “Print”, you just need to select the virtual printer “docPrint Driver”, and click the button “ok”. Please look at the picture 1. Second, after you click the button “ok”, it will pup up a dialogue “Save As”. 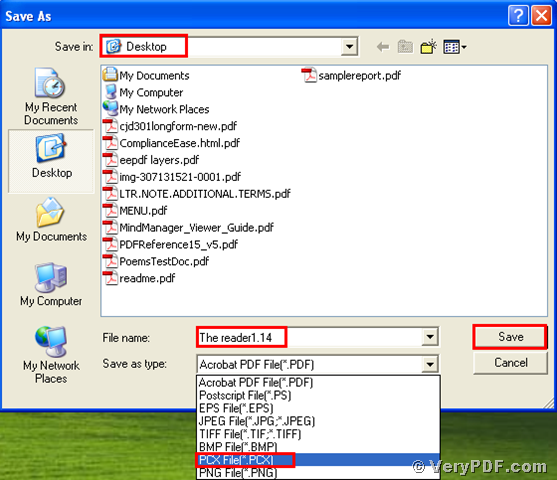 Please choose the type “PCX” and input the file name “The reader1.4” in the blank. At last, save the change. Separately open the files about the before and after printing file. You can obviously find that we had printed the doc to pcx. Please look at picture 3. 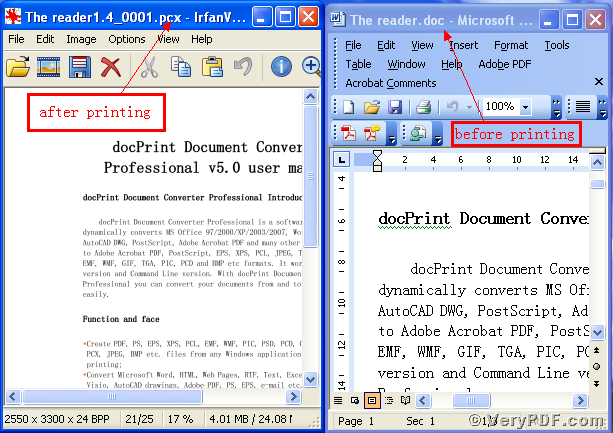 By the way, there is another software it is basic version of the docPrint Document Converter, which also can print doc to pcx or print other formats files. Furthermore, it is inexpensive, if you want to purchase it go to this link: http://www.verypdf.com/order_docprint.html, you can download it from this link: www.verypdf.com/artprint/docprint_setup.exe . Thanks for your reading. How to convert files of AutoCAD to jp2? This entry was posted in docPrint Pro and tagged doc to pcx, docPrint. Bookmark the permalink.